Very proud to be co-author of this important paper over at www.macdonaldlaurier.ca outlining how Canada can live up to its potential as world energy superpower by engaging with First Nations to rescue the Northern Gateway (and other pipelines) to the West coast. Official MLI news release and links below, please read the paper “The Way Out: New thinking about Aboriginal engagement and energy infrastructure to the West Coast“, part of MLI’s ongoing series of studies on Aboriginal communities and Canada’s resource economy. OTTAWA May 30, 2013 – Canada is failing to live up to its potential as an energy superpower due to a lack of access to world markets, but a new paper by the Macdonald-Laurier Instituteshows how the Northern Gateway pipeline project can be put on sounder footing and deliver sustainable benefits to Canadians, including First Nations in the pipeline corridor, by increasing access to Asia. Presently, Western Canada’s oil resources are suffering from artificially low prices as a result of lack of access to growing markets in Asia. The Northern Gateway project would help to rectify this ongoing shortfall, delivering oil to energy hungry China and India, tens of billions in increased GDP for Canadians and increased revenue for provincial and federal governments. Right now, the biggest obstacle to approving the pipeline is not inter-provincial jurisdictional squabbles or even environmental concerns –though these are important – but the Aboriginal communities along the pipeline corridor. Aboriginal opposition to the pipeline alone is likely enough to cripple or kill Northern Gateway and any other energy pipeline to the West coast. With Aboriginal support, however, much is possible. Backed up by a series of legal victories, constitutional recognition of Aboriginal rights and self-government, and examples of successful partnerships between Aboriginal and non-Aboriginal organizations, the best way to remove the main obstacles facing Northern Gateway is to engage Aboriginal communities, not only in terms of consultation but as equity stakeholders,” argue the paper’s authors Ken Coates and Brian Lee Crowley. “We want to make sure that Canadians understand that Northern Gateway stands at the intersection of Canada’s aspirations to be a world energy superpower; environmental standards of 21st century resource development; and the present and future status of Aboriginal/Non-aboriginal relations in Canada.” added Coates and Crowley. “It is in the national interest that this project move forward; otherwise, as we document in the paper, the costs of this missed opportunity would be enormous for all Canadians, not only those in Alberta and British Columbia. Specific steps the governments of Canada, British Columbia and Alberta can take to make this project more acceptable to public opinion and affected communities. Northern Gateway continues to face strong opposition, threatening the project’s viability and the vast wealth it could potentially generate for Canadians. 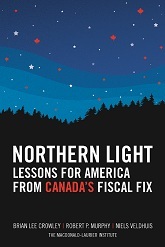 By actively engaging with the Aboriginal communities along the corridor, and fair dealing in establishing equity partnerships to share the risks and the rewards the pipeline offers, the authors are confident that Northern Gateway could do more than carry Canada’s energy riches to international markets. It could symbolize a new era in business-First Nations-government collaboration in the proper and carefully managed development of this country’s natural resources.